The Hakka People is a branch of the Han Chinese with their Hakka Dialect and distinct identity, culture and customs. The Hakka people were once living in the Central China, and migrated to the South majorly due to wars, and later some even moved overseas to various countries throughout the world. At present, the Fujian Hakkas are mostly living in Longyan in southwestern of the Province. 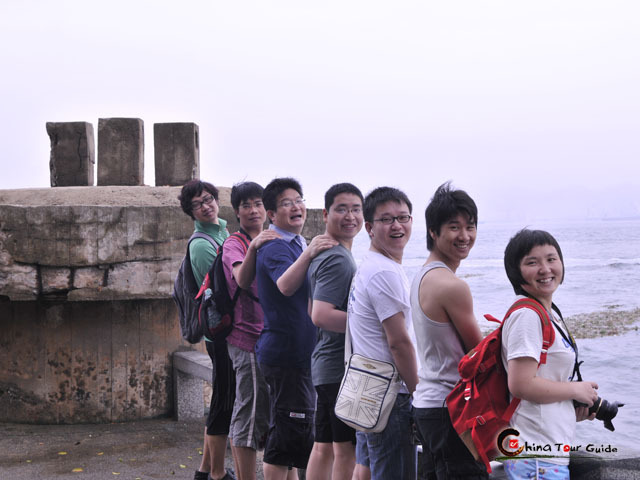 The Tingjiang River is the Hakka Mother River in Fujian. Hakka costume originates from the clothing style of Tang Dynasty, with typical dressing culture of perfect combination in practicality and adornment. Black, blue and white are the principal color. 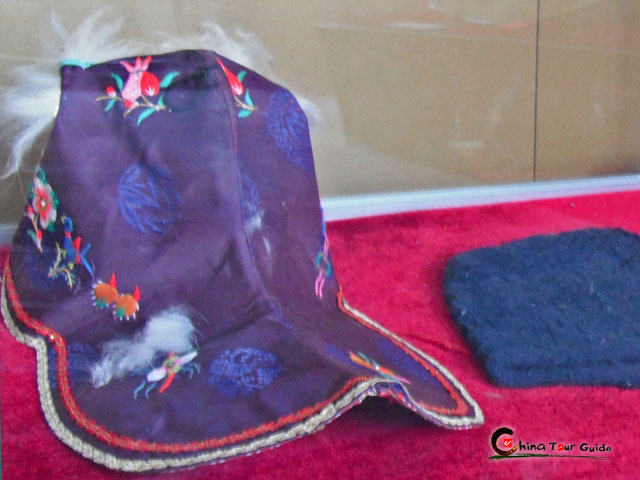 Ornamental designs are formed on the hairpin, summer hat and apron of Hakka women and auspicious designs with Buddhist images on the muffler of children. The Hakka have a unique architecture based on defense and community dwelling. 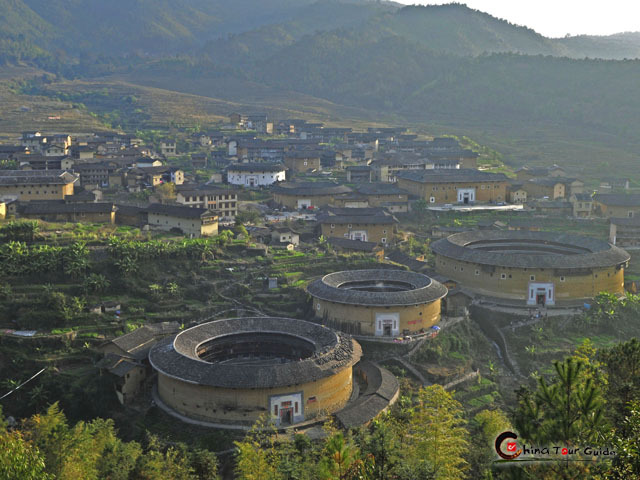 One of the featured and brilliant examples is the Fujian Tulou (Hakka Houses) in southwestern Fujian Province. The Fujian Tulous were constructed mainly from rammed earth, and are usually round or rectangular in shape, dividing into several parts like food storage, living quarters, ancestral hall, etc. There is only one entrance for one Tulou, and no window at the ground level. 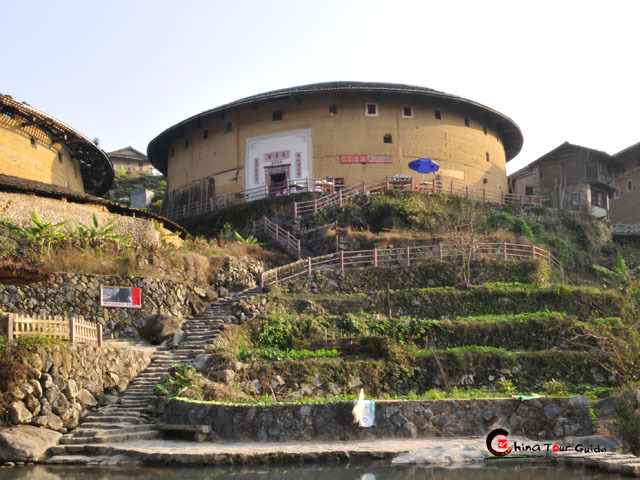 A Tulou is a fortress unit as well as a family kingdom. Due to its original usage in scattered isolated regions where communication is limited to the local area, the Hakka Dialect differs from one place to another, and even from one village to another. Each variant is said to have its own special phonological points of interest. However, Hakka Dialect generally is closer to Middle Chinese than other modern Chinese languages. 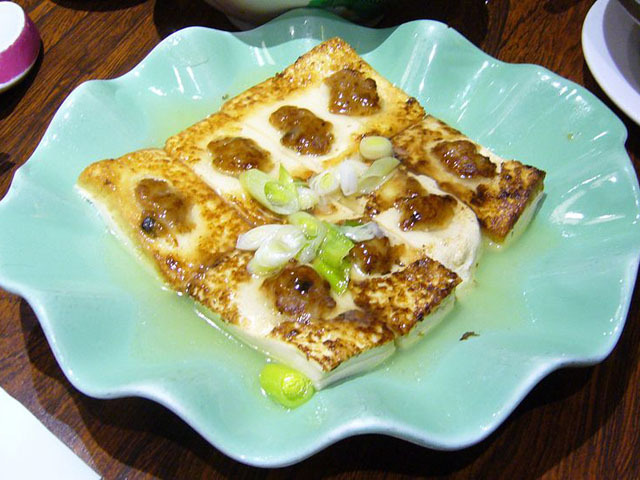 As for eating habits, the Hakka people enjoy a hearty savory cuisine based on an equal balance between texturised meat and vegetables, and fresh vegetables. Famous Hakka dishes include: Hakka Ngiong Tew Foo / Tofu (as shown in the right), Kiu Nyuk (Sliced Pork with Preserved Mustard Greens), Salt Baked Chicken, Noh Mi Ap (Duck Stuffed with Rice), Beef Meatball Soup. The Hakka Hill Song is a high featured and better known element of the Hakka Culture. These rural songs are sung in the Hakka Dialect, with the theme varying from love to personal conduct. The Hakka Hill Songs can be used as a method of expressing oneself, of communication, and even of courting between the young.